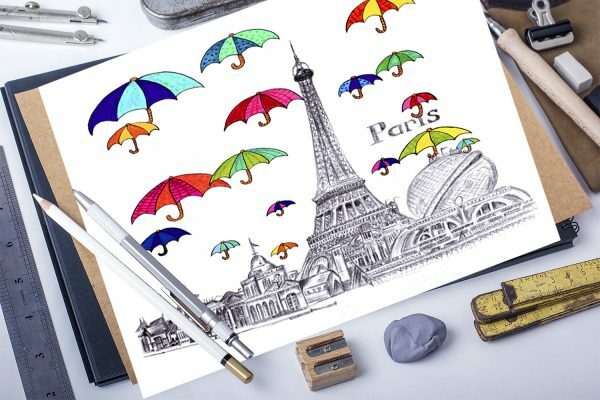 Warm blessing from colorful umbrellas to Paris. A very nice sketch of Eiffel Tower in a happy day. 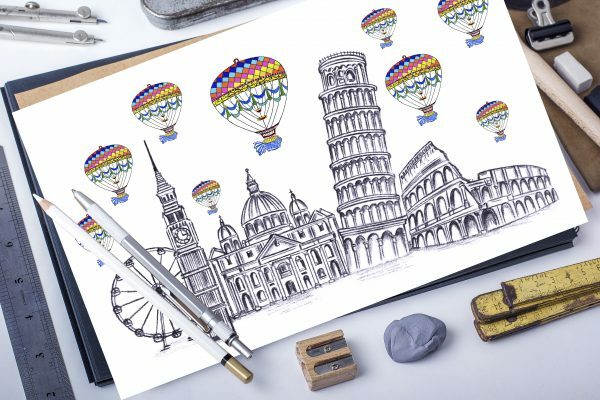 A sketch of European architecture with hot air balloons. A warm blessing to European friends.